Splatoon is heading towards the end of its weekly benevolence that brings us free extras, so we should make the most of it while we can. As is often the case the development team is serving up a fresh weapon in time for the weekend, and this time it's the Tri-Slosher Nouveau. 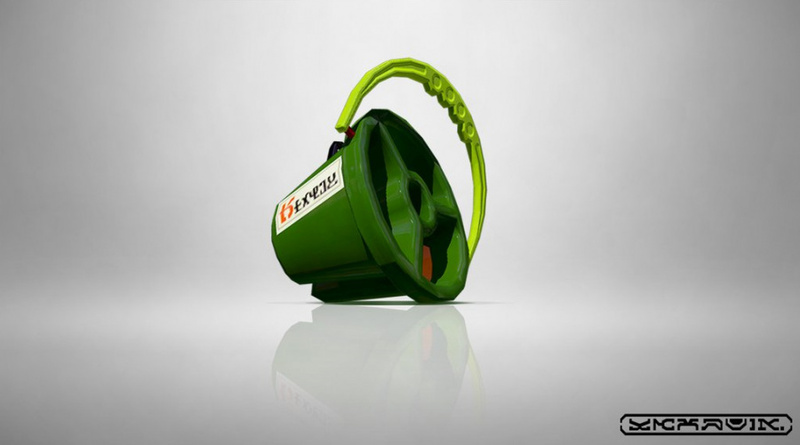 Well, it's a green bucket, so the name seems a little fancy; nevertheless, we've suffered plenty of splats at the hands of slosher bearers, so we won't be treating it lightly considering it's packaged with an Echolocator and a bucketload of Seekers. As normal we expect it'll arrive at 7pm Pacific / 10pm Eastern today (18th December), and 3am UK / 4am CET on 19th December in Europe. Will you be making a splash with this weapon? As usual, need to know what the other two subweapons are. I just can't seem to get used to using anything but continously shooting guns in this game. There are several I use depending on the situation, but they are all guns. Rollers are too slow and I just don't like constantly hitting the button, and charge weapons are just too slow. I'll be making g a go of the mini gun this splatfest, but testing it I don't like it all that much either. 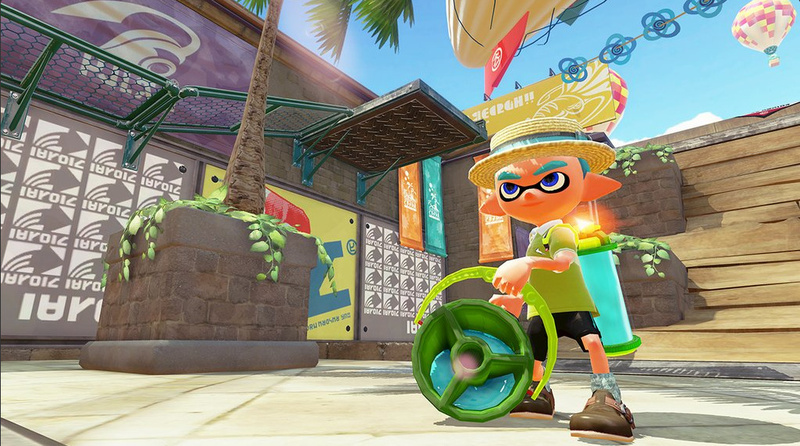 Splatoon Wikia says it's Seeker + Echolocator. I was hoping for Splat Bomb or Suction Bomb. Aw man, the first slosher with either Echo. or point sensor and it's on the Tri-Slosher I love the regular slosher but the Tri has 'blind' spots that I'm not cool with. Oh, well. Here's hoping the Sloshing Machine variant gets Echo. or Point Sensor. Alright, my main's got options! And just like the Splattershot Jr., the alternative to the bubbler is the Echolocator. Seekers are going to be interesting to use with this! It makes sense that Nouveau is the custom name for this weapon, since the Tri-slosher is made from the same brand as the Inkbrush. @ThomasBW84, a mistake in the article: it should be "we've suffered plenty of SPLATS at the hands of slosher-bearers." Splatoon jargon, am I right? Every week there's new weapons, it's kind of weird. 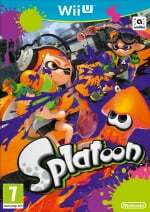 Easily one of, if not THEE most updating game that Nintendo has ever had and one of the most updating ones even out in general that isn't an app. Funny. the open source Nvidia GPU driver is named Nouveau, Nvidia`s signature color happens to be green. coincidence? What they really need is dlc for the 3ds to do 2 player split screen on multiplayer like cod ghosts. I know you need touchscreen, but that is why the 3ds is perfect for the second controller. It would be much better than the smash bros controller (what a waste of a dollar).